Did anyone catch this on Top Gear. What a beauty ! I thought J C's poignant message was a nice touch. Still prefer the old V8 vantage - sounds even better - wouldn't say no though!!! Turn the volume up and make sure you have good speakers - what a noise!!! Yeah I'm a big fan of the Vanatge. Huge car. 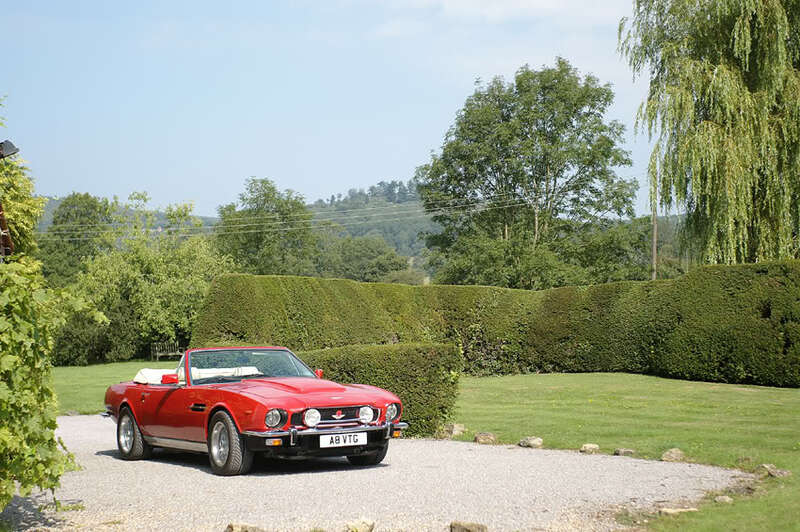 I had a V8 Vantage (the original type), great fun but rather unreliable! Had a virtually straight through exhaust too! The new V12 looks great, although I'm not much of a fan of the bonnet louvres - all a bit busy looking. oohh that's nice. You made of money or somat? Nice motor, prefer one with a roof though. It was nice, one of only 2 RHD made. It was a Volante Vantage (rather than a Vantage Volante), a very rare beastie and the precursor to the PoW cars. Absolutely stunning - impeccable taste. Wouldn't have a convertible though - not stiff enough and after having been upside down in a car it tends to put you off a bit!! !